Nisa and Friends was founded in July 2012 and is a collaborative effort of two sisters. Namfon (Sunisa) draws the illustrations/doodles and Namwan (Sirintra), the younger sister who is currently studying fashion design, does the design/cuts of the garments. The result is beautiful and colourful pieces which are unique and wearable. The first collection from Nisa and Friends takes ‘Symphony of The End of the World’ as a theme (it is 2012 after all!) But it’s not as gloomy as you might expect. On the contrary the girls’ take on the subject is more of a tongue-in-cheek, humorous and cheerful one. Gorgeous doodles of owls, octopuses, rabbits and lionfish playing musical instruments and looking impossibly cute dot each piece. If this is the end of the world then the Mayan prediction won’t be so bad after all. Sirintra, one of the sisters behind Nisa and Friends. 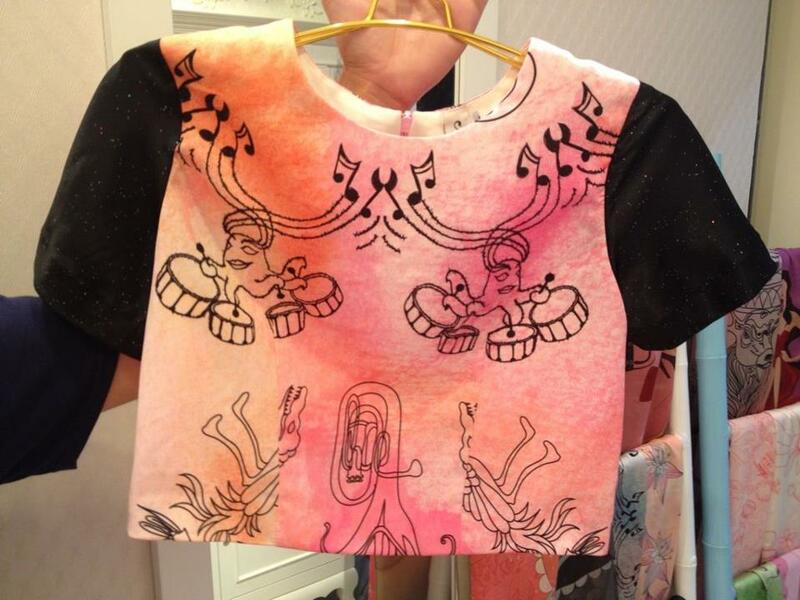 Cute illustrations and cuts are what make these pieces special. The style of the illustrations is very distinctive with a sort of cartoonish quality making them a lot of fun. But that’s not all the charm. The garments are very well cut and flattering, especially the signature shift dresses which quickly sold out (they only make about 20 pieces of each design to keep it exclusive and unique). Luckily for me - I managed to grab the last piece of the ‘Owl’s Night’ dress in my size and can’t wait to wear it! 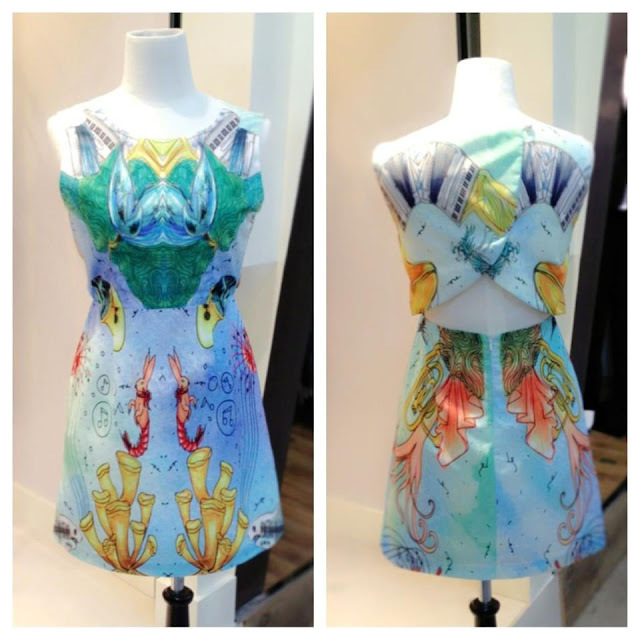 I loved the fit of the dress, the illustration of course and the side panels which shine like a starry night. Just the perfect balance of statement and simplicity! The separates at Nisa and Friends are also as beautiful - from the Land’s Life maxi skirt to the shorts and top combos in varying illustrations and shades. 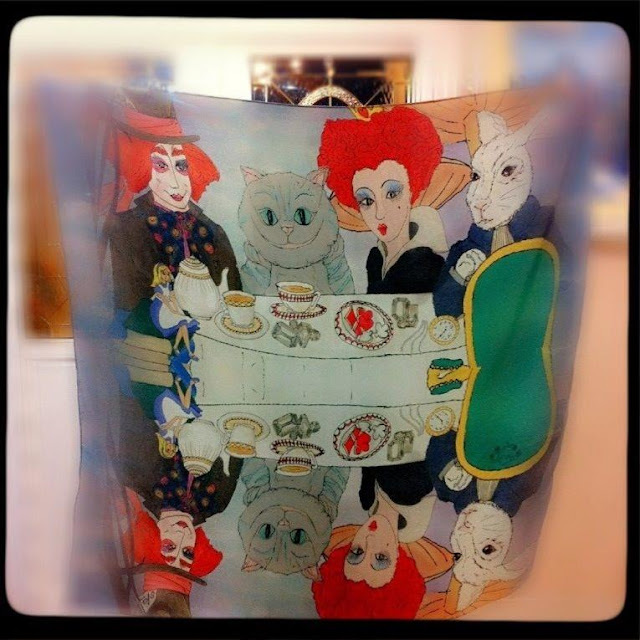 But nothing beats the printed scarves where the illustrations can be seen in full. Each scarf has a theme and a distinctive illustration. black panels on the side - which you can't see in the picture! As refreshing as it is to see young people like Nawman and Namfon doing what they love and taking on a world of blog shop cheap mass-production with their creativity and ambition, it is doubly heartwarming to see the good response they’ve been getting despite having just launched – which also shows that they’re doing something right! So if you’re in Bangkok, make sure not to miss Nisa and Friends’ little charming and inviting shop. Stop in and pick yourself a unique piece which I promise will cost you less than a generic high street dress and beats it hands down in the individuality stakes. Tell them I sent you. Nisa and Friends is located on 262 Siam Square, Soi 3, Bangkok, Thailand. You can also like the Nisa and Friends Facebook page here.